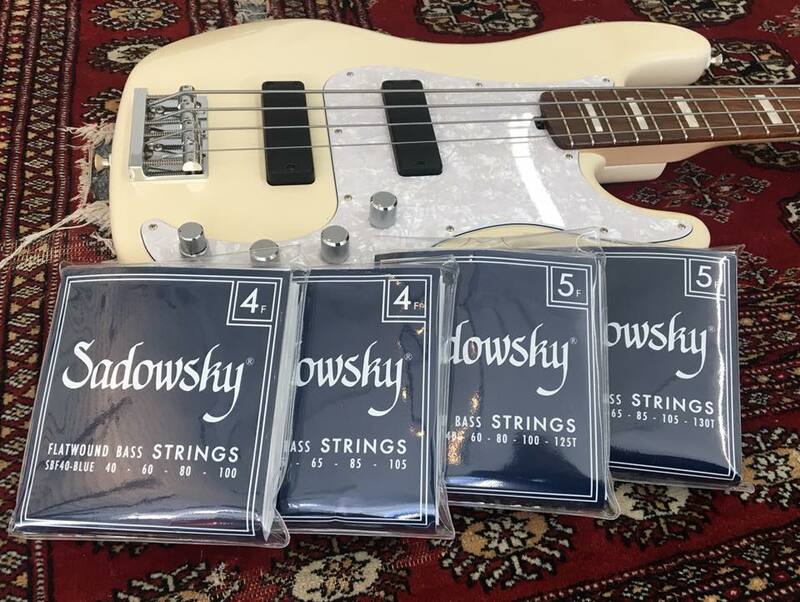 With the introduction of our new Blue Label Flatwound strings, we thought that it was time to put together a quick guide to the Sadowsky family of bass strings. Check out the descriptions below to see what bass strings are right for you, but feel free to call/email Will at (718) 433-1990 /will@sadowsky.com with any questions. Our newest string: Blue Label Flatwound: Our re-engineered Sadowsky Flatwound Bass Strings combine the best qualities of our previous Blue and Black Label flats with improved tone, feel, and consistency. If you are looking for a string with a true vintage sound and feel that retains a strong fundamental to sit well in the mix, these are strings you definitely want to try out. Visit the Blue Label Flatwounds page for more info. Most of our strings come in 4 and 5 string single sets or discounted boxes of 5 sets.